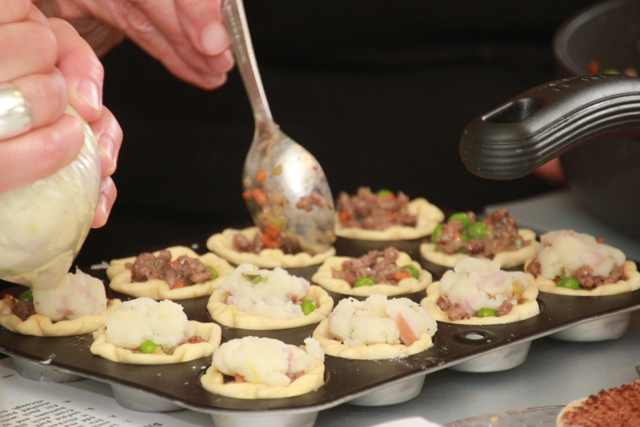 These miniature Shepherd’s Pies are fantastic! they are so small and really very light. So much so that you might just assume that there are no calories . . . but there are a few! This recipe makes 4 dozen and when I did my test run with them I only made 1/2 of the recipe . . . 2 dozen. I only got to eat 3 of the 24 . . . the other 21 mysteriously vanished as in with my husband Pat! 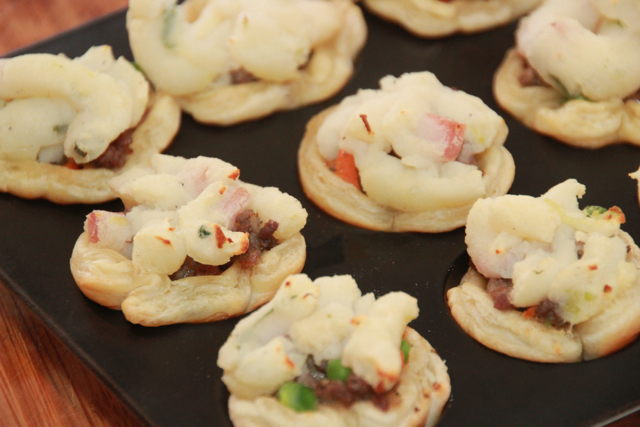 We made these at my March cooking class and they were a great hit! their easy and fun to make and make for a super appetizer! 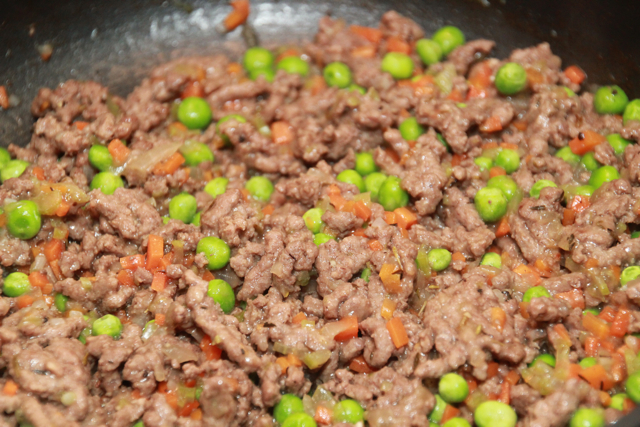 In a large skillet, cook the beef, onion, celery and carrot over medium heat until beef is no longer pink; drain. Stir in the flour, thyme, salt, nutmeg and pepper until blended; gradually add the broth. Bring to a boil; cook and stir for 2 minutes or until sauce is thickened. Stir in peas; heat through. Set aside. Unfold puff pastry. Using a floured 1 ¼ inch round cutter, cut 12 circles from each sheet (save scraps for another use.) Press circles onto the bottoms and up the sides of ungreased miniature muffin cups. Fill each with 1 ½ teaspoons beef mixture; top or pipe with 1 tablespoon mashed potatoes. Bake at 400 degrees for 13 – 16 minutes or until heated through and potatoes are lightly browned. Serve warm. Yield 4 Dozen. For more information about upcoming cooking classes or accommodations in The Lark Inn Guesthouses, please visit our website.